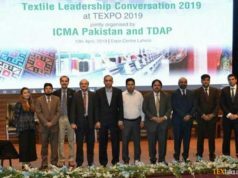 Mr Peter D. Dornier, executive board member VDMA Textile machinery Federation and Walter Reiners Foundation Chairman for the Promotion of Young Engineers, honored five young talents. 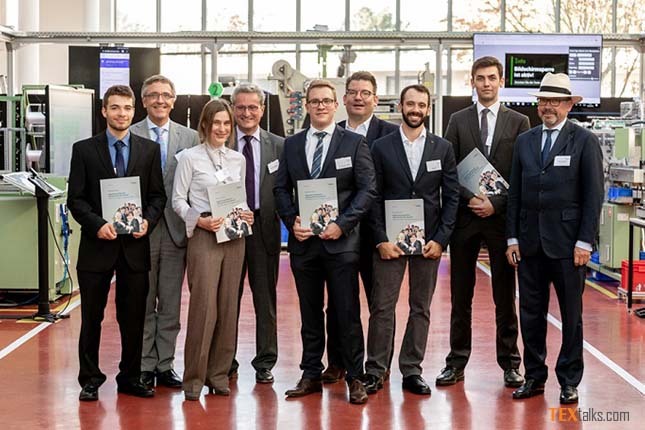 Several entrepreneurs and managers from the German textile machinery industry participated in the award ceremony at the Digital Capability Center (DCC) in Aachen, Germany. The dissertation category prizewinner, Dr. Ing. Benjamin Weise, is from the Institute of Textile Technology at RWTH Aachen University (ITA). 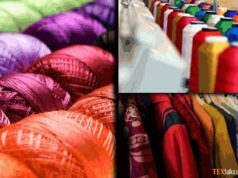 For the manufacturing of modified multifilament yarns, he dealt with complex production processes which now offers new prospects for the manufacture and development of textile charge carriers. Prizewinner of the master thesis Ms Susanne Fischer has comprehensively and systematically resolved the difficult tasks of integration motion sensors into a fingers glove at Reutlingen University. Team Mr. Jan Merlin Abram and Mr Alon Tal from ITA Aachen as well as Mr Eric Otto from the Institute for Textile Machinery and High-Performance Textile Materials Technology (ITM) in Dresden are the winners of 2018 creativity award. Abram and Tal students for the hybrid morphing textiles design have developed a guideline. Additionally, to the classic functions in conventional and, in particular, composite applications, locally defined, functionally effective joint, torsion, expansion and compression mechanisms can be integrated into the textile. 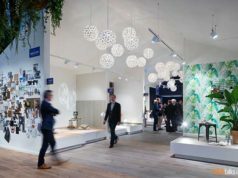 The prizewinner Otto is awarded for a concept study for the development of a circular knitting machine with a variable diameter needle cylinder, which can lead to further flexibility in the circular knitting process.